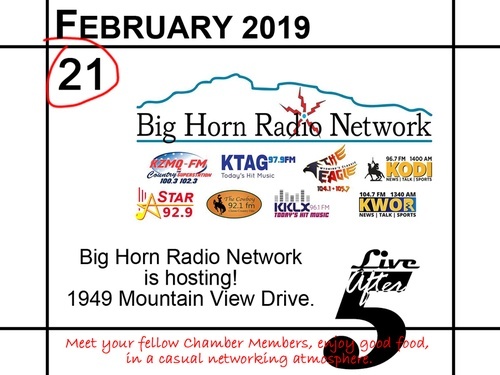 Big Horn Radio Network will be hosting tonight! Meet at 1949 Mountain View Drive. Get a tour of the station and chat with the On-Air Staff! There will be hors d’oeuvres & refreshments. We hope you'll join us! Live After 5 is your chance to network with your fellow chamber members on the third Thursday of the month.